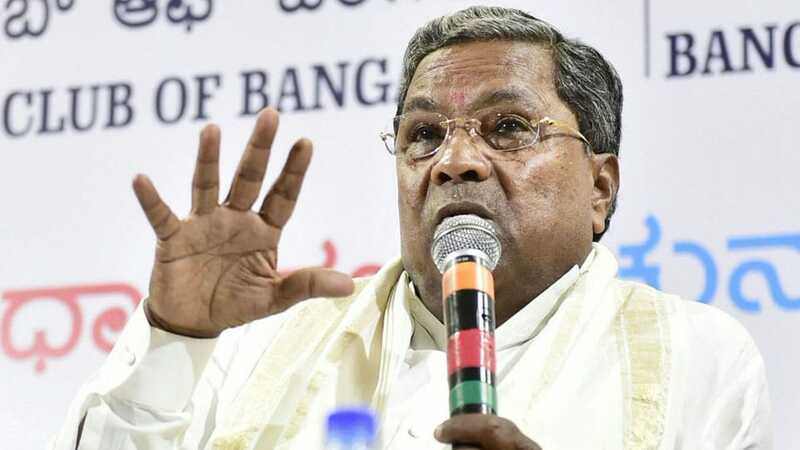 Bengaluru: Chief Minister Siddharamaiah has sent notice for defamation to Prime Minister Narendra Modi, BJP National President Amit Shah and State BJP President and former Chief Minister B.S. Yeddyurappa for accusing him of corruption and has demanded a public apology. Siddharamaiah has accused the top BJP leaders of making “baseless, false and untrue remarks” about him in the campaign for the State election this Saturday. Reports suggest that he has sued the leaders for Rs.100 crore. “… you are called upon to cease and desist from making such statements forthwith and give an unconditional public apology immediately through electronic, print and social media etc. in which the statements and advertisements have appeared,” says the notice. PM Modi’s jibes like “Sidda-rupaiya government”, “10 per cent sarkar (that takes commission)” and “ease of doing murders” have been detailed in the legal notice. The results of voting in Karnataka will be declared on May 15. Verbal attacks and name-calling has peppered the intense campaign for Karnataka, which is the last major state ruled by the Congress. Siddharamaiah has also included in his notice allegations revolving around his diamond-studded Hublot watch. The watch has been repeatedly raised by BJP leaders; the Chief Minister claims he was gifted the watch by his friend and he had paid tax for it.